If you still treat China simply as a low-cost apparel manufacturing workshop or linger on those scenes in the documentary China Blue (produced in 2005), the following story may be a “shock” to you. 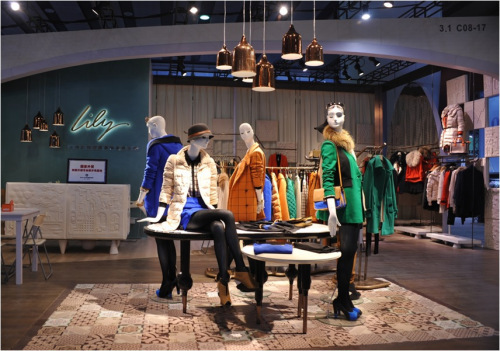 Above: The Shanghai Silk Group displayed its indigenous brand “Lily” . 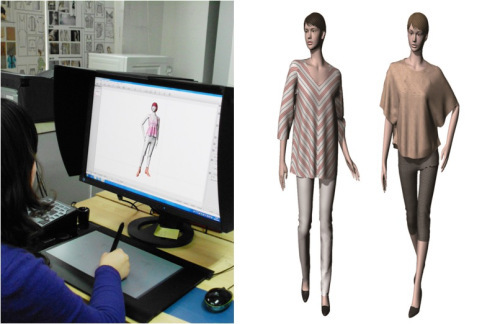 Above: A designer is working on a 3D model @ the Shanghai Silk Group. Each year, the design department of the company will launch around 2,000 new product lines with indigenous intellectual property right. 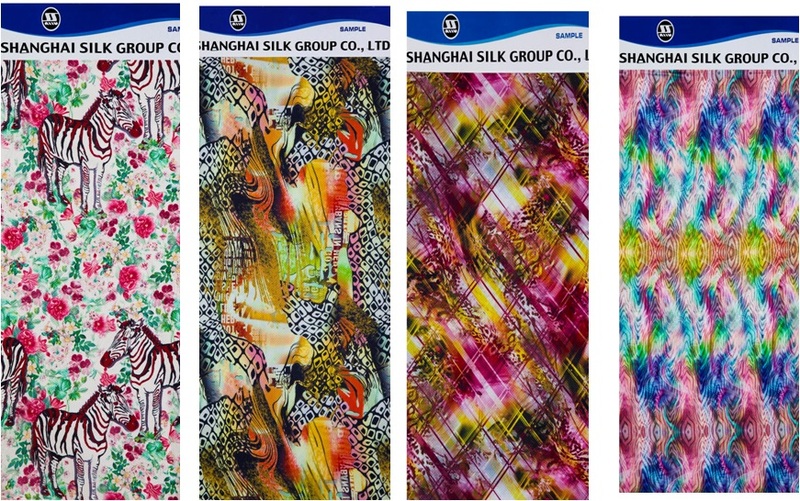 Above: Product booklet of the Shanghai Silk Group. 2 issues/ year. 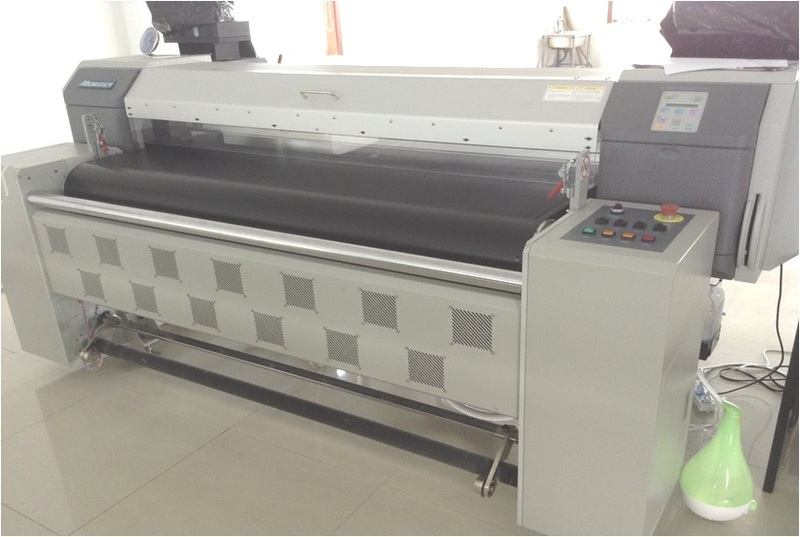 Above: To strengthen the design capability, the company purchased the digital printer which can directly print patterns on silk fabrics. Besides the modern equipments & technologies, the emergence of the “design in China” phenomenon is also underpinned by the increasing supply of skilled talents in the country. Fashion design education is booming rapidly in China in recent years and improving in quality as well. 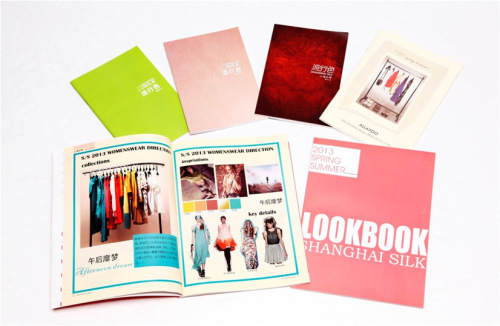 Just in Shanghai alone, a dozen colleges are offering fashion design programs nowadays. For example, the Donghua University (the former China Textile University, where I graduated from) enrolls a total 255 fashion design major freshmen in fall 2013. The enrollment size could be doubled if also counting students enrolled in a dozen other international fashion programs jointly offered by the Donghua University and its partner schools from Japan, UK, France and the United States. Above: Chinese students are taking the draping class. 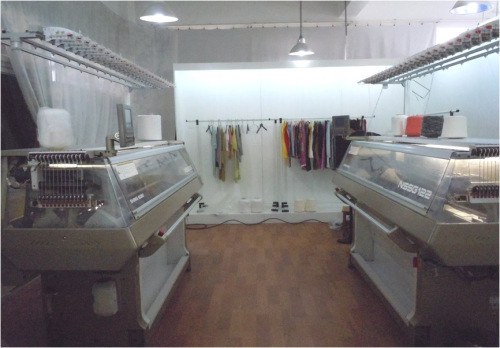 However, the changing face of China’s apparel industry is neither a surprise nor an exception. 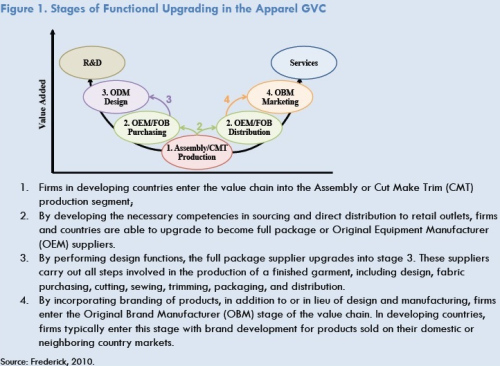 As suggested by Dr. Gary Gereffi at the Duke University, one of the world’s most distinguished scholars studying the governance of global apparel value chain (GVC), the apparel industry in a country will gradually upgrade following the path of CMT (cut-make and trim)–OEM (the original equipment manufacturing)–ODM (the original design manufacturing)–OBM (the original brand name manufacturing). To FASH majors: are you ready to compete with “design in China” ? What would be your advantages and disadvantages, opportunities and threats? Rather than thinking of this as a competition, coming together to design could produce beautiful designs/clothing. If designs from China are the future of fashion, then an advantage of this for other designers around the world is that new and interesting collaborations could result. On the other hand, a disadvantage of this is that many designers will look at this as a competition, and new designs from China could be seen as encroaching on their markets and customers. This poses a big treat to other designers around the world. I don’t think TMD/TM students at URI would really be considered as competing with students in China because I think the curriculums are very different. These up and coming Chinese universities are offering a much more fashion design based curriculum than many of the programs in the US. I think we could use this to our advantage. China is a developing country and the emergence of a designer population can create opportunities for US students to look to the business side of fashion. We learn much more about the merchandising and marketing side of the fashion world and by opening up China into the design side I think it creates the opportunity for collaboration rather than competition. If Chinese designers and US business students can learn to work together then I think it would be a great way to enhance the global view on fashion. A disadvantage to this would that working together will cause people to have to completely change their lives, whether it is moving to a new country or learning a new language and adapting to a new country, its difficult and a lot of people are unwilling to do it, however, if we can get people to broaden their minds and branch out I think there would be more advantages than disadvantages. thank you for your great thinking! Your comment reminds me of the importance of enhancing the international collaboration in today’s higher education, especially for our T&A field. The T&A industry has become so global in nature nowadays. It will be ideal that our students can have the opportunity to work on some joint projects with students in a foreign country alongside the global value chain. Such a learning experience will benefit students from both sides. I keep coming back to this article, because I think it is so interesting how fashion forward and ahead of the game China is. The technology and skill does not even compare to what is in the United States. (Or at least not that the public knows of). I do not believe that the US is ready to compete with China. Although the US is full of technology and moving forward, textiles and apparel is not as much of a main focus in the US as it is in China. If we were to compete with China I believe it would be a disadvantage because it seems that China is always one step ahead when it comes to fashion. As said in more recent articles, Shanghai is a city that is looked at for setting fashion trends. I agree with the other two comments that if the two countries could learn to work together rather than compete, it would be a greater advantage for everyone. This will give the US an opportunity to learn more about the importance of T&A and China will be able to have an even larger market with exports and imports if they collaborated. Although it does cause more competition, the importance of educating the public and the fashion industry will be achieved. So maybe eventually the collaboration will just die off and the US could achieve fashion forward technology and techniques by themselves. Moving forward and change is always a good thing, although it might not seem so at the time if something is working. Yet theres always a need to achieve and be the best. After reading this article it shows how China is becoming more and more of a competitor. They are going to be ahead of U.S students because they have more technology that thy are hands on with, for example, 3d printing. In thinking is cool for them to offer learn with 3d printing because that is going to be the new thing to the fashion industry. Just this year I heard about 3d printing and I wonder how long China has been learning about it. I also liked reading now china is improving in quality. I personally think quality is important in apparel because when I spend money on anything I like it to last. However, China is expanding which could be a threat to the U.S. I agree with the previous comment suggesting to look at this as an opportunity to expand fashion design within the US, and join forces with China. I understand that this can also be looked at as competition, but look at how we work with China today- for purposes of manufacturing. There are ways that both countries benefit from this. We could look at China’s fashion design advances as another business opportunity, and join forces in a way. On the flip side, there may be disadvantages to this just as there are with sending our business overseas (job loss etc.). This may be an opportunity for China to distinguish themselves as a more design oriented country and set themselves up as a competitor. In this instance, they would be more of a threat to the US and its designers. Good thoughts! I hope this post provides our students with an opportunity to think about globalization and its impact. As we mentioned in the class, regardless of whether we like it or not, globalization is deepening, resulting in freer movement of goods, services, capital and to certain extent of people. This is particularly the case in our textile and apparel industry, in which companies nowadays “produce globally and sell globally”. it is critical that our students care about what is happening in the outside world, because the stage waiting for you is global in nature. I find it a little intimidating that Chinese students are beginning to learn the design aspect of the industry. American students until now have had the upper hand on Chinese students when it came to our knowledge of the design industry. Now that Chinese students are learning more sophisticated aspects of the design industry, they will have the upper hand because most of the worlds textile and apparel manufacturers are in China and they will be provided with much more hands on experience. Because so many companies in the U.S. have outsourced, American students have less access to hands on experience. As a TMD student upon graduation this article forces me to accept that I will not only be faced competing in the workforce against other U.S citizens but also competing at an international level since discusses how countries overseas are focusing their attention on teaching hands on skills including sewing, design, patternmaking, and production. Skills are essential in gaining a job advantage in the global apparel and textile industry. As we had read earlier in the year for assignment #1, “The U.S has stopped producing people with the skills we need” (Duhigg and Bradsher). In order to gain a competitive advantage in the globalized job market an education and knowledge of the industry simply does not cut it any more. Workers and applicants must not only have an education but more importantly the skills to utilize that education. I am afraid yes! Globalization and technology advancement is intensifying the competition unfortunately. You may want to google the word “crowdsourcing”. China is a very impressive country in the fact that they try to keep up with everyone. 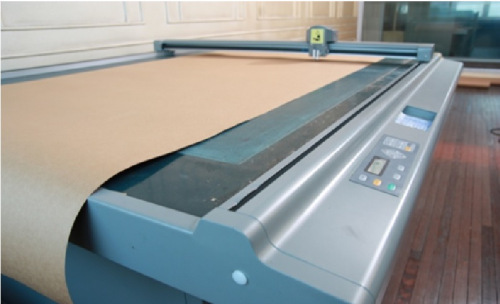 It is shown here that they have all the high tech technology that is needed in the designing and the development of products. It is very interesting to me that fashion design is a very popular program, that can found in many colleges in China. It makes sense to me know why China is good at what they do because they teach specifically on the fashion and product development. They people are solely trained in one aspect of fashion at college, but for China is it good and important because that is what they are known for. They have partnerships with other countries because of their good and fast product developments. It is a little nerve-racking to know that students are being taught over there somewhat of the same things and they have the technology to practice on it as well as students here. Although it makes it better when they are solely being trained on the product development while we are being trained more on the textile and apparel programs. Reading this article honestly just made me nervous to enter the workforce. There’s already a ton of competition with student that have received the same education and training as I did. Now, I have to worry about Chinese fashion students who are known for being extremely hard working and driven and now with their advancement of technology the competition is even tougher. I think “Design in China” is great and that also countries like the US should attempt to integrate some of their ideas into fashion programs at American universities. I have mixed emotions after reading this article. I partially feel nervous to enter the workforce with a TM degree in the 21st century seeing how well trained these students are in China, these students are extremely skilled and have been taught to use the most recent technology and equipment which makes them stand above the competition. On the contrary, the difference between us and China is that we are learning opposite curriculums. Where they are being taught design, product development and supply chain we are being taught textile and apparel programs such as marketing and merchandising. So instead of having a fear that our jobs will be completely taken over by these students from China, maybe being more optimistic can create us to work together to ultimately create final products. Good thinking! It is true that globalization intensified competition and technology advancement further turns many things used to be non-tradable into being tradable. For example, in recent years we see more and more service jobs be outsourced. In academia, scholars have started debating the future of fashion design jobs available in the U.S. given the adoption of more and more digital tools such as the CAD system. Nevertheless, US will remain a key player in the global T&A industry and many career opportunities will be available for our TMD/TM students. But it requires our students to keep following the big trend of the industry and keep learning throughout their careers. I think this article is very interesting to read and compare to my own experience as an Apparel Design major at the University of Delaware. There is a lot to know regarding manufacturing and outsourcing to China in the fashion industry, yet this is a whole other side of China’s contributions to the industry that isn’t talked about enough. They seem to have a competitive advantage with the access to industry-standard technologies which, from what I can gather in this article, are a step above what U.S fashion students are exposed to. I think these schools should be a model for other fashion design programs around the globe because learning on the most up to date technology gives the ultimate competitive advantage. good thinking! it is true that fashion education is becoming more global in nature and the goal is also to facilitate collaboration rather than competition. For example, I will be very interested in seeing UD students pair with students from China, UK, Australia, France etc and work together on a joint product, because this is how apparel supply chain works in the 21st century. The article “Moving from ‘Made in China’ to ‘Design in China’” was an interesting perspective into the new apparel design world that is growing in China. China use to just be used for textile manufacturing and now more apparel design factories and schools are expanding. Since China has such a vast and strong textile production industry allowing for apparel design students to learn first hand the process of designing and producing apparel. Since they have this exposure they are more of a threat to the United States and other apparel industries. If companies could design and source their products for cheaper and cut down on transportation cost that is going to have a big impact of the industry and the amount of jobs in the United States. Focusing in on globalization, it is definitely important for my generation to become indispensible and gain global experience. Future employers do not care about what information we have; they care about what we will do with that information to make decisions that will result in moving their company forward. Therefore, one should take opportunities and do whatever is required to learn more about the industry. Based off the article on the blog, the curriculum in China is centered on product development and training in design and not any marketing or merchandising related courses. Here in the United States, we are taught textile and apparel courses, as well as business curriculum. This lack of growing our industries in our very own country demonstrates the results of specialization in production and exchange. Although both nations are benefiting from this exchange, I think the United States should make the curriculum well rounded in all aspects so that we are able to offer more jobs for our citizens and so that the future generations do not need worry about their jobs being outsourced overseas because the United States doesn’t offer efficient training and skills. I personally never thought of China as a country with up-to-date or trendy design ideas. I actually thought that the U.S. and Europe designed new trends that were seen in Fashion. China could be taking away from our country’s spotlight, which does make me nervous when entering the Fashion industry. I also think that China could end up wanting to make their money within the textile and apparel industry by designing and selling to their own country rather than exporting to countries like ours, like we are used to. This could impact globalization because China is one of our leading importation sources. If China decides to lessen their amount of trade to the U.S., this could definitely be a threat to everything we are used to in our textile and apparel industry. Previous Previous post: Bureau of Labor Statistics: Manufacturing-related Fashion Jobs Continue to Drop in the U.S.